Have you no children to whom you could look? The other's a banker, denies us a home. He spoke of a brother he left years ago�"Oh, is he so cruel, to treat you both so? And still I can fancy I hear them again:-Yes- Chorus. In wild speculations lost fortune and all. 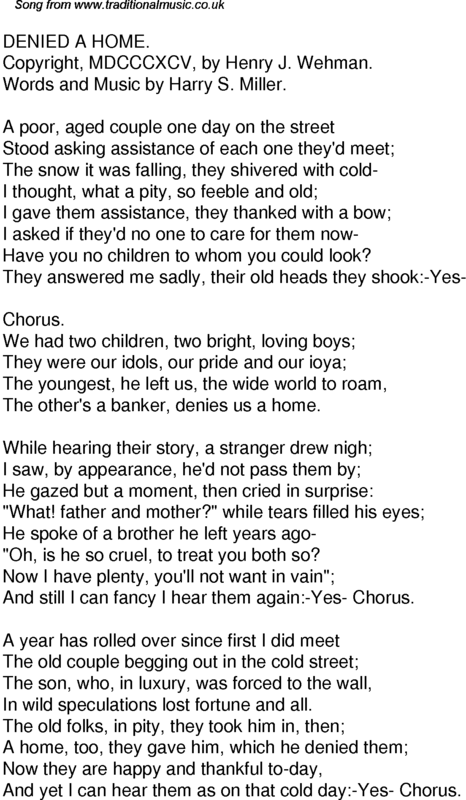 And yet I can hear them as on that cold day:-Yes- Chorus.